As a company we perform statutory audits. Auditor expresses his opinion on financial statements or consolidated financial statements as the case may be, including Balance Sheet, Profit and Loss Statement and Notes to the Financial Statements of the company under examination, through the Auditor’s Report. He acts according to the valid generally accepted legal regulations. Financial statements are subject to a mandatory statutory audit if the entity is a joint-stock company (a.s.) and providing that there is at least one of the following criteria, mentioned below, met. 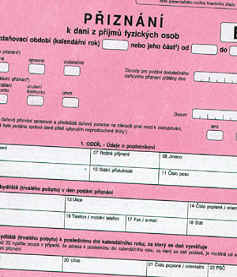 With other legal forms of entities there has to be met at least two of the following criteria: The balance sheets for the current and immediately preceding accounting periods exceed CZK 40 million, the net turnover exceeds CZK 80 million and the number of employees being employed in the period under examination and in the previous period, exceeds 50. According to various acts the financial statements of entities should be also examined in a number of other cases. However even those entities which do not fulfil the above mentioned criteria may also have their financial statements examined by the auditor, if they use the audit opinion as the tool supporting the positive approach to the complex management which helps them with the examination of the functioning of the significant economic values, relations and procedures within their company. If this is the client’s wish, our company may provide you with an audit opinion covering special transactions or various issues that may occur in your company. We offer you the examination of receivables, or payables and thus enabling you further transactions with them, also audits of various grants (particularly for the state bodies) saying whether the grant provided was used for the purpose planned and in accordance with legal regulations and the conditions stipulated. We provide the auditing service mainly in a continuous way, means we usually start working with the client not later than during the period under examination, finishing with the examination of the financial statements, both regular and extra or interim. The advantage of such a procedure is obvious, the competent people are provided with professional advice during the accounting period itself and thus the origin of misstatements is low and occasional discrepancies are removed flexibly. Furthermore a long term cooperation enables better understanding of the particular and unique characteristic of individual clients and their needs, resulting in a more effective outcome of the audit. Our tax advisers will work out your tax declaration based on the data and documents you provide. This kind of cooperation is enabled through a proxy, serving for producing any tax declaration. Regarding the income tax, it will allow you to postpone your tax liability for up to three months against the legal term. Representing you when dealing with your tax administrator, whatever case it would be, including litigation, is commonplace. A written proxy enables us to substitute you to the extent indicated in this written authorisation. Our target is to defend your interests in accordance with the legal conditions. The tax adviser may also provide you with the examination of the data necessary for the tax base assessment. These data are assessed separately according to particular categories and at the same time in correlation between one another. This enables us to remove accounting discrepancies and make correction in time. Our tax advisers will perform optimization of your company tax burden in compliance with present legislation. We offer highly qualified accounting together with the possibility of discussing the issues with tax advisers or/and the auditor. 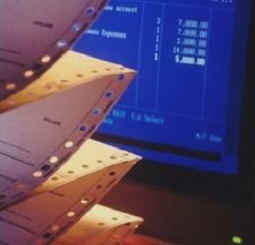 Using an accounting SW we can offer you the keeping of the tax evidence and double-entry bookkeeping. The basic service the client could be provided with includes the processing of original documents, preparation of the sub-ledger of receivables and payables, records of fixed assets and records of low-value fixed assets, wages and salary administration, financial statements processing and preparation of reports, based on the client’s need, including the financial reporting for parent companies abroad, also the preparation of financial statements and notes, and the preparation of the cash flow statement and the statement of changes in equity. Based on the client’s need we can also provide the examination of past accounting periods, or as the case may be, make a reconstruction of accounting. 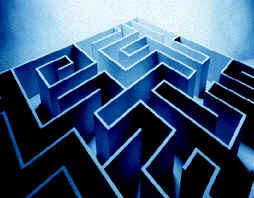 Usually, the financial situation analysis and economic situation analysis are provided irregularly. Such an analysis includes a breakdown of individual groups of financial indexes. Moreover the results of such analysis are presented to the management of the company through commentary and charts so that the results of the financial analysis can be used with a maximum efficiency and aid the decision-making and financial management. Successfulness in business is conditioned with the existence of an excellent business prospectus, and therefore our company is ready to assist you with its preparation. Our company can help you set internal tax and accounting directions and regulations in accordance with your particular needs. These regulations are then the main attribute which will enable you keep the accounting in a complete and proper way. If you need assistance when establishing the inner controlling system in your organisation or when implementing specific internal procedures and systems, you can also rely on us. If you need to have your company valued because it is being sold (as a whole or a part of it only), whatever the reason is (a deposit or some kind of transformation etc. ), we can arrange an expert’s opinion to be made for you.